Some of the best games available on PlayStation 4 are getting a price drop and a special label called PlayStation Hits, Sony revealed today. The first selection of PlayStation Hits include some of the very best the system has had to offer, including Uncharted 4, Bloodborne, The Last of Us Remastered, Metal Gear Solid V: The Phantom Pain, Street Fighter V, Doom, Battlefield 4, and a few more. 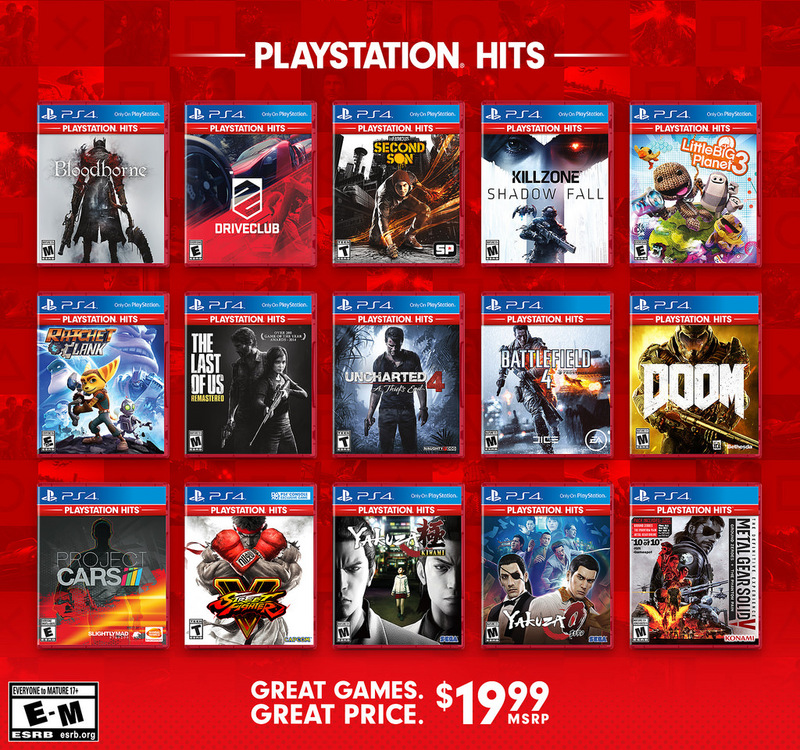 PlayStation did something similar with PlayStation 3 games, offering them as a Greatest Hits collection. This is basically the same thing, with each game getting a red label near the top of the box art, and a suggested retail price of $19.99. PlayStation said it will continue to add games to the PlayStation Hits lineup, so the potential for many more $20 games in the future is very real. The initial lineup includes exclusive games as well as multiplatform titles, so it's unclear just what criteria these games have met to become PlayStation Hits. Odds are it's a combination of good sales numbers, as well as age. The majority of the games releases two or more years ago, so a price drop has likely been a long time coming. For $19.99, however, some of these games are still a steal, and a pretty decent bang for your buck. The first wave of PlayStation Hits become available on June 28 in retail stores everywhere, as well as the digital versions on the PlayStation Store.